Winning Post: Retail Games... a crime or a mistake? Ted Menmuir April 8, 2019	Comment, Features, Latest News, Slider Images, UK Comments Off on Winning Post: Retail Games… a crime or a mistake? This week saw the implementation of GB’s B2 ban and the rollout of some operator mitigation plans. Betfred and Paddy Power launched OTC products which used Virtual betting rules to create a product similar to roulette (36 numbers) with cyclists (Betfred) and numbers (Paddy Power). The backlash was sudden, profound and may have profound consequences: politicians and the press condemned the bookmakers, while the Gambling Commission announced an investigation into potential breaches of licensing obligations in two companies as well as making stern warnings about acting responsibly more generally. PP and Betfred pulled their products after 24 hours, with PP stating it was a limited trial; WH abandoned a planned launch of a similar product. In all this the bookmakers involved (GVC is notable in its absence) appear both villainous and stupid (a toxic and somewhat predictable combination for what was once the GB gambling industry’s biggest sector) – but is it as simple as that? If there has been an actual breach of product legislation, regulation or licensing codes, then this would be beyond egregious and the proverbial ton of bricks, mixed with ordure, would be entirely merited: heads should indeed roll. However, on a narrowly legalistic basis these products are likely to have ‘passed compliance’, in our view, especially given the considerable latitude allowed under ‘betting on virtual events’ (the original legal genesis of the FOBT as well as ‘numbers betting’ and the process by which an RNG game, gaming in almost every common sense, can become betting with the addition of a suitably sporting graphical interface and OTC delivery). The issue here may well not be a narrow interpretation of what is legal, but what is in the spirit of the laws – a dangerous and complex place for both operators and regulators to be, but a very easy environment for politicians and the commentariat the throw brick bats. The spirit of the laws is also the bigger issue for us here. It is beyond obvious that GB bookmakers would be under intense scrutiny after 1 April. It is also beyond obvious that bookmakers have a commercial imperative to innovate in order to thrive – or even survive. What seems to have happened is a level of low impact, tactical product adjustment seen as a commercial ‘quick win’ in terms of keeping B2 revenue in shops, with no direct regulator input into development. The products don’t look all that compelling to us and certainly do not appear to be the result of extensive R&D (or a lucky stroke of genius), the likelihood of them adding much to the P&L that would be noticed at group level would seem to be low (and it should be noticed that a betting slip based game has different risk and player experience characteristics than an EGM). Instead, they have heaped bad publicity and suspicion on a sector that probably thought (wrongly) that it had already found its bottom in PR terms: a cheap tactical non-event has led to a potentially significant strategic reverse – possibly opening virtuals and numbers betting product regulation to question, as well as the reported Gambling Commission investigations and the wider impact on public (and political) trust. The episode was also revealing about the attitudes of those in Westminster. The parliamentary rush to judgement was entirely predictable given the way that the LBO sector has managed its political relationships in recent years. However, the instant and indiscriminate condemnation was also rather unedifying – particularly for those parliamentarians representing faiths grounded in principles of toleration and forgiveness. A big question for the licensed participants (operators, suppliers) is whether this was a failure of systems and controls: a tactical decision was made at low levels of the organisation, with its strategic implications not picked up until too late, or; a failure of leadership – those at the top genuinely thought that this was a good idea. Either way, change is needed – and as Talleyrand pointed out, sometimes the only thing worse than a crime is a mistake…. While Parliament’s roof (which it seems Gordon Brown has still not fixed) leaked like a Brexit Cabinet meeting, the steady drip of Parliamentary Questions on gambling continued unabated this week. Tom Watson (Lab, West Bromwich East) followed up this week’s newspaper stories by asking what plans the Government had to review the effects of stake reduction on FOBTs; and what action it would be taking with respect to the emergence of “new high-stakes roulette-style games in betting shops” (see lead above). In recent times, the Labour Party’s Deputy Leader has emerged as perhaps the most thoughtful parliamentary commentator on matters of gambling policy; and the first of his questions exposes an important point – that there is no formal, independent process to evaluate one of the most profound changes in Britain’s gambling legislation of the last decade. This week was the opportunity to conduct an important social experiment into the effects of stake reduction on a widely distributed product across an entire national jurisdiction; yet as with earlier examples (in some Australian states, in Norway and in Britain’s bingo clubs and arcades in 2007) it seems that no formal assessment of player behaviour (enjoyment and harm) is planned. After such a protracted and tortured political debate over the FOBT – a period of hyperbolic claims from both pro and anti-gambling lobbyists – it is strange indeed that no-one in the policy or regulatory establishment is sufficiently interested in the effects of its removal to commission research. At a time when gambling operators are exhorted to evaluate pretty much everything that they do, governing bodies continue to put themselves above equivalence of responsibility. 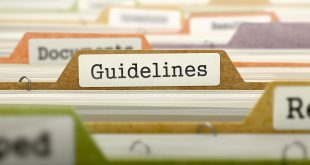 In its proposals for a new Harm Reduction Strategy (details of which will be published later this month), the Gambling Commission recognised that it needed to do a much better job of leading by example. 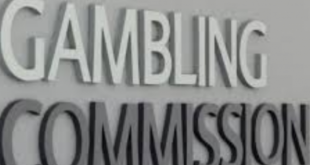 Yet, in the final report on the 2016-2019 National Responsible Gambling Strategy, the Responsible Gambling Strategy Board (an adjunct of the Commission) once again ignored its own evaluation protocol in determining success. 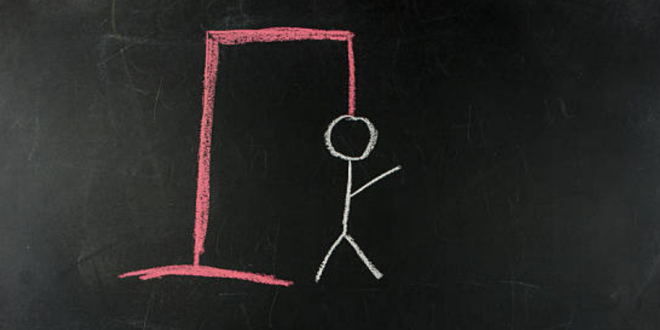 Given the substantial funds that were spent on executing the plan, the RGSB’s highly subjective self-assessment report does not seem particularly independent or proportionate – or frankly, adequate. This is not rocket science. The Budd Report back in 2001 recommended that “research is carried out to monitor the effect on problem gambling of changes in regulation”; and yet time and again this has been ignored. Indeed, it is one of the remarkable features of the Budd Report that while the majority of its 176 recommendations were incorporated within the 2005 Gambling Act, most of those dealing directly with problem gambling were dropped from the legislation (with the effect that some are still being debated today). Elsewhere, the DUP’s Paul Girvan (South Antrim) found some relief from Brexit matters by probing on plans to curb gambling advertising in relation to sports viewing.